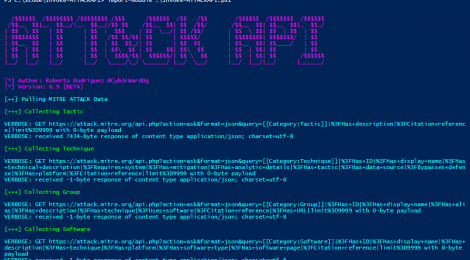 Browse: Home / Invoke-ATTACKAPI ~ A PowerShell script to interact with the MITRE ATT&CK Framework. 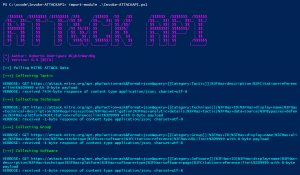 Invoke-ATTACKAPI is A PowerShell script to interact with the MITRE ATT&CK Framework via its own API in order to gather information about techniques, tactics, groups, software and references provided by the MITRE ATT&CK Team. 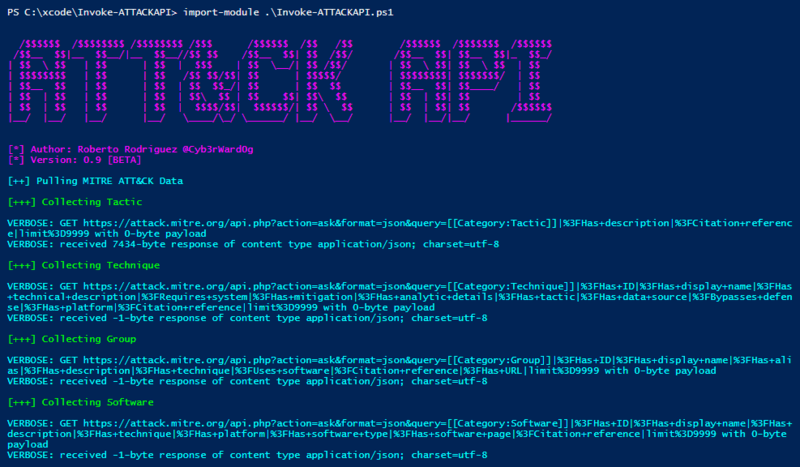 + Provide an easy way to interact with the MITRE ATT&CK Framework via its own API and PowerShell to the community. + Expedite the acquisition of data from ATT&CK when preparing for a Hunting Campaign. + Learn PowerShell Dynamic Parameters. ← HaxBall Firewall for Windows with Anti-VPN/Proxy.